It has been a bright, hot summer, here in Wales, resulting in an abundance of these gorgeous Peacock butterflies flitting about the garden and nearby woodland. From a distance, they look like flying jewels, glorious flashes of vivid red with iridescent blue. Get closer, and their magnificence is truly breathtaking. Acrylic on Canvas, 8 inches x 8 inches. Original Sold. 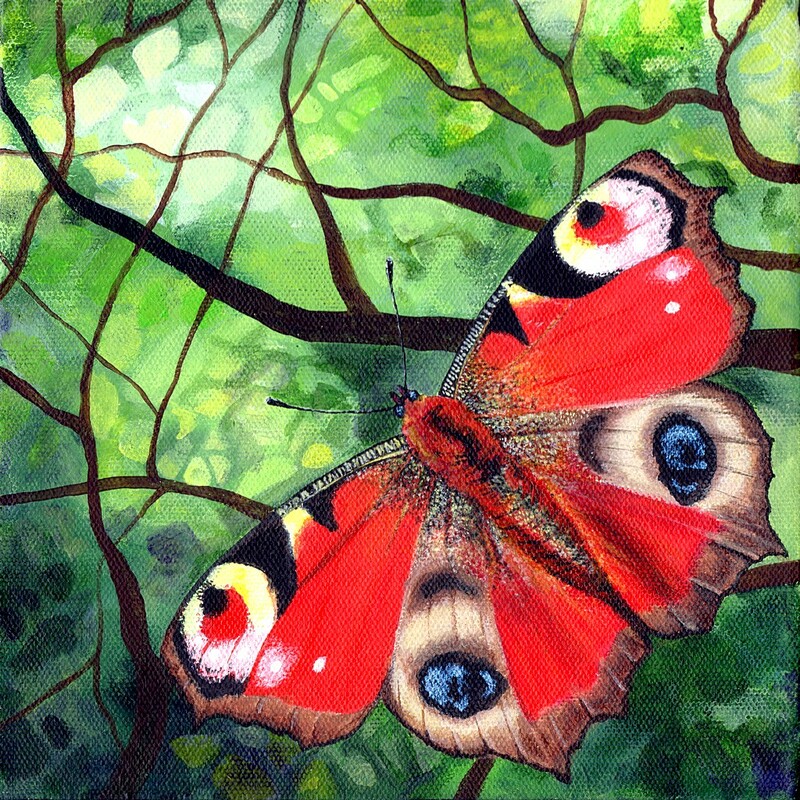 This entry was posted in Butterflies and tagged acrylic, acrylic on canvas, butterfly art, canvas, wildlife art on September 24, 2018 by Helen Frost Rich.